Remember those back-to-school jitters? Everyone is so excited and nervous all at the same time. Now that the back-to-school season has come and gone, those first-day jitters have become just an afterthought. Yet, here I am overcome with those same feelings! “Why the first-day jitters?”, you ask. Well, today is a very big day here on Love, Teach, and Learn (LTL). I’m really excited to share it with you. So, if you want to hear more about today, then join in on the excitement, read about our development, and envision the possibilities with me. Okay so what’s up with today? Today marks the first blog post on our site and I am so glad that you get to be apart of this amazing journey with me! So, what is Love, Teach, and Learn? If you feel like changing up or adding to your current curriculum, maybe you’ll find an educational resource that fits your needs here. 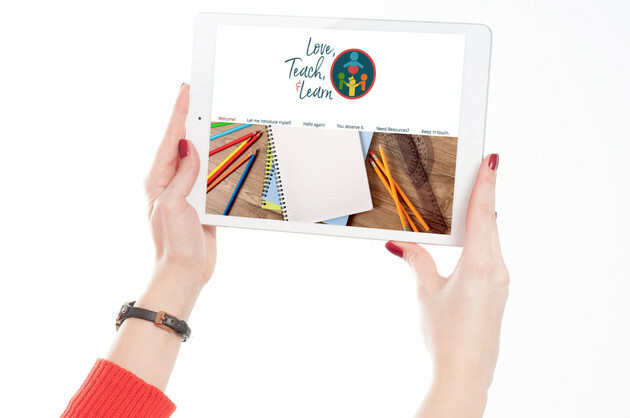 Love, Teach, and Learn initially began on Teachers Pay Teachers, where I was very ecstatic to bring unique, quality resources to the educational online marketplace. Today, it now expands to this website where I wanted to focus more on providing a community-centered blog. This gives me the ability to connect with readers, like you, beyond the market place and social media. LTL is a place where educators from various backgrounds can share their expertise, experiences, and fun ideas. You’ll find engaging activities, classroom themes, and lots of handouts to incorporate into your classroom. 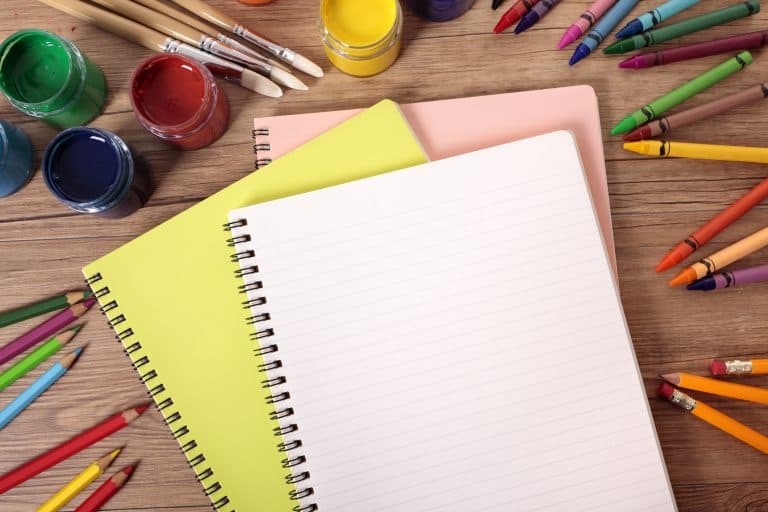 We’ll be talking “crafts”, “office supplies”, and all things “teachers’”. Occasionally, I’ll also share a few tips for those who are thinking about selling their own educational resources. Do you have a brilliant teaching resource that you’ve been keeping to yourself? I’d love to encourage you to publicize your work. For those curious about becoming an educator entrepreneur, I’ll share with you my story and give you loads of practical advise to start your journey. So, if you’re a teacher, a homeschooler, a parent, or planning on becoming one in the future, then join the LTL community! It’s really neat to read about the stories of organizations and where that “idea” initially began. I find it inspiring to hear about how others follow through with their plans and I love finding out where motivation meets them. I’d like to take you behind-the-scenes and share some significant events in my life that have led up to the highlight of today. indicator of what we want to do in life. For me that revelation began when I was very young. I can’t tell you that I remember the specific moment when I first felt passionate about something, but I can tell you that it happened while I was creating. For as long as I can remember, I have always loved to create. I enjoy arts in just about any form it can come in. That is, anywhere from sketching, crafting, home decor, photography to literature, choreography, and cooking. Designing has always been a part of my life. There’s no doubt that my love for creativity has contributed to the development of this website and it’s resources. That was only the beginning of discovering the things that I love, but beginning to explore these passions gave me a better idea of what I wanted to do in life. Yet, with no sense of direction, passion can be counterproductive. I can be consumed with passion and still fail to make achievements if I feel lost with no course of action to take. 2. Direction: Learning how to make the right decisions was a delicate process for me. Every gentle nudge I received to move forward in a direction was also accompanied with confusion. This continual resistance of doubt, sabotaging me every step of the way, made it difficult for me to decide what direction I should take. After completing my first year in college, I no longer felt peace about continuing my college education. I decided not to continue down that path and I found alternative ways to gain my knowledge and experience. This was a pivotal time in my life. I had to decide whether I was going to allow others’ opinions of “what was best” for me to dissuade me of my own convictions. I decided to listen to what I felt my Heart was leading me to do. I would not be writing this post today if I chose to ignore that gentle nudge. I learned that in my quiet time alone I could distinguish the gentle nudges from the confusion. It became an art of skill to return to that quiet place again and again. In that time alone, I could focus on the gentle nudges that were guiding me. That is where I received discernment. Then, there were times where I’d be silent and feel the urge to do something that just didn’t make sense. All the discernment in the world couldn’t help me address all of my objections to these spontaneous suggestions. 3. Faith: Six years ago, I got a wild idea to submit an article I wrote to a local newsletter here in Virginia. I sent it with hopes that the publisher might consider the article one day, but I didn’t really think it was possible. After all, I am no professional journalist or author. To my surprise, not only did they accept it, but they published it two weeks after I sent it! It was an article on faith and motherhood, which was perfect for their May issue dedicated to mothers. The publisher contacted me and told me how the article stood out from his usual submissions. I was shocked, to say the least. 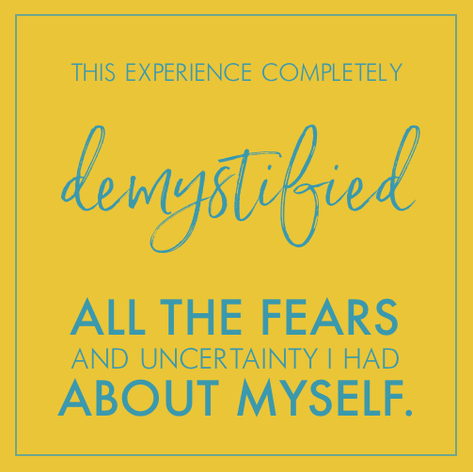 uncertainty I had about myself. It gave me the faith to step out on those “wild ideas” and consider that maybe those doubts are nothing more than illusions. 4. Perseverance: Long before this website, I created various blogs of different topics that weren’t successful. I realized that I wasn’t as enthusiastic about some of these ventures as I had originally thought. Yet, all my work was not done in vain. 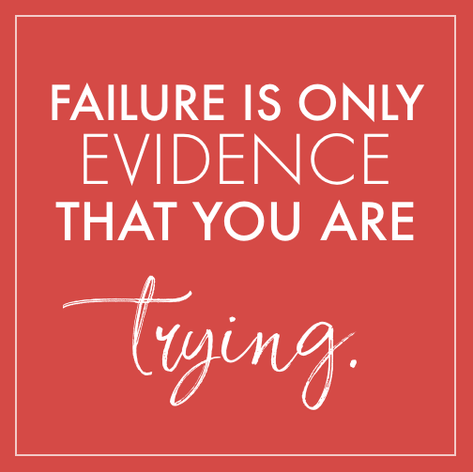 After all, failure is only evidence that you are trying. During this time, I learned a lot about blogging and honed in on what I truly wanted to write about. But most of all, I learned that a little bit of hope can go a long way. I could have gave in to the thought that blogging just wasn’t for me. Looking back, there were so many times that I was tempted to give up, yet I decided to keep going. With just a teensy bit more effort, soon after feeling like a failure, success always surprised me just around the corner. Despite all the roadblocks that I faced, I did eventually stumble upon my niche, which then allowed me to be enthusiastic about creating this website. If I gave up at the first sight of my shortcomings, I wouldn’t have stuck around long enough to discover my niche. Although, persevering after making mistakes is important, it is necessary to learn from those mistakes. 5. Growth: We educators understand the importance of learning. Becoming an edupreneur, I had many new things to learn. It seemed the more I learned, the more I realized I don’t know. The more I researched, the more questions I needed to find answers to. Learning has been a major process of this journey and it’s never-ending! I began my training with the basics: forming a business, accounting, keeping records, and marketing. I also tackled on some classes that helped me with web and product development such as graphics, typography, and color theory. Then, there is the ongoing research to ensure that my content is full of value, not to mention all the life lessons that come with running a business. Exhausting, right? 1. Taking baby steps has truly made studying more manageable for me. More importantly, it allowed me to focus on the task at hand. It’s important to remember that we grow one day at a time. 2. Early on, I thought that I had to understand every step of a process before I could begin to implement any of it. The truth is I will always have questions, but the sooner I apply what I’ve learned, the better! Learning takes a lifetime and that’s a wonderful thing, but applying those skills early on ensures success. 3. Celebrating each milestone along the way encourages growth. I’ve celebrated my milestones with my friends, family, giveaways, or just with a happy dance. It simply brings in some fun to the challenges of growth. After years and years of study, it finally happened! All the pieces of the puzzle came together and I got a clear vision of what I wanted to do. 6. Purpose: At the start of my homeschooling journey, I was in search of an English curriculum. I noticed that most English lesson plans and teacher guides, always fell short in some area of the massive subject. It seemed that almost all of them did not address speech, communication skills, or pronunciation. Those that were comprehensive, were lengthy and tiresome. Needing an engaging ELA course for my kids, I began creating a few activities and worksheets of my own. After creating a few resources and planning some really neat projects, I began feeling the need to share my ideas. After all, I was already creating engaging activities and worksheets for my kids, why not share them with others? 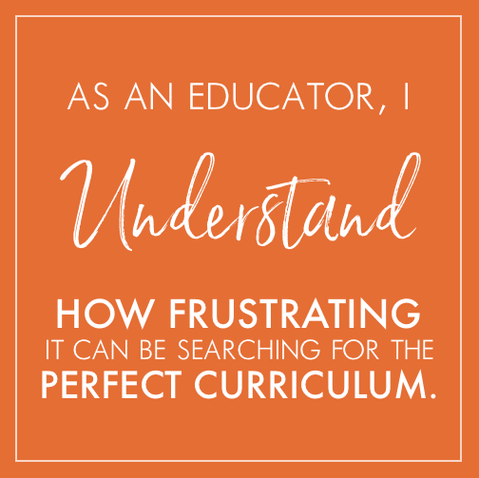 As an educator, I understand how frustrating it can be searching for that perfect curriculum. So many times I’ve seen beautifully outlined curriculums that seemed to have forgotten who their readers are and the importance of necessary benchmarks. Then, there are those that have outstanding content, yet the overall design and look of the curriculum come out subpar. Brilliant content shouldn’t come at the cost of a professionally executed design and a professionally executed design shouldn’t come at the cost of brilliant content! This is why I decided to share my resources. I’m inspired to provide quality design and educational content, in hopes that it may meet a teacher’s need. What makes me come back to this website? How do I connect with this blog? What do I enjoy about the site’s content or resources? Answering these questions, I noticed that I preferred blogs that have a clean feel, that’s written with a cheerful tone, that has great articles, or that provides me with valuable material. The admirable traits of my favorite bloggers became my standards for this website. I decided that these were the same attributes I wanted to provide to my readers. I have come across some amazing blogs. In some way or another, they have all inspired the principles of this website. Here’s a list of a few of these blogs and a description of how each has set the bar high for me. Oh Sweet Basil: This was the first blog that I stumbled upon. I love the tone Carrian writes with. All the way from her bio down to her blog post titles. She welcomes her readers to feel like they’re at home. Confessions of a homeschooler: This blog helped me with my first year of homeschooling. Erica’s transparency will make you giggle and her free resource library was ver valuable to me. It really shows off her work (and her generosity). KindergartenKindergarten: Kathryn’s blog introduced me to Teachers Pay Teachers. Kathryn invites you into her classroom and shows you all the details of her lessons. I love details! The Moffatt Girls: Annie posts lots of great photos of her packets in action and I love the quality graphics that she uses in her resources. The Cake Blog: The Cake Blog’s content and recipes are completely unique to any other cake blog that I have found. I love the clean design that is seen throughout the website. Blog Tyrant: Ramsey’s content is thorough and in depth. When I read his posts, I feel like I’m learning all the secrets of the blogging trade. Brilliant Business Moms: The way that Beth Anne connects with her audience is very electric and refreshing. Her personality shines through her webinars and engages her readers, creating an immediate sense of community. While admiring others’ work is a great inspiration, it is very important that we do not copy their work. Inspiration should only motivate us to be the best that WE can be. 8. Originality: Another attribute that attracts me to a blog is originality. Hearing the same generic jargon gets old really quick and it’s easy for me to tune it out. The honesty of a writer or the personal touch of a product is far more refreshing. 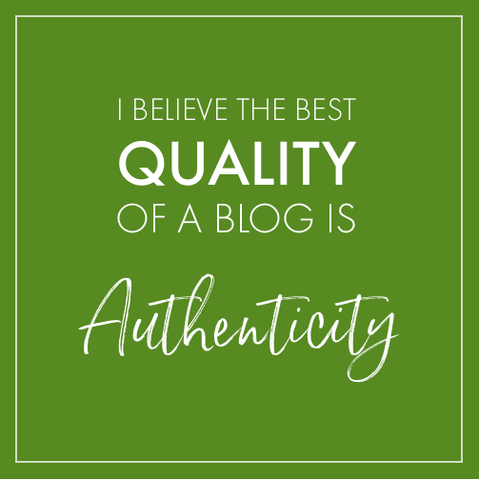 I believe the best quality of a blog is authenticity. So, what makes Love, Teach, and Learn different? When I began searching for blogs for homeschoolers, parents, and teachers, I was disappointed that I couldn’t find an online community that integrated all of these groups of educators. I had hoped to find a blog where I could meet and learn from other teachers, parents, and homeschoolers without feeling estranged. Even though I’m a homeschooler myself, when I decided to create a blog, I had no desire to create one exclusively for homeschoolers. Instead, I decided to create a blog for all educators. Educators who are passionate to see their kiddos succeed, related or not. – I’d say my style of writing is light, humorous with an insightful twist, what do you think? – When I’m writing, I put on my big girl pants and occasionally enjoy using elaborate words. But in day-to-day conversation I am apparently, sometimes unintentionally, more hilarious than I am sophisticated. (That extra time that writing offers works miracles). – Although I’m a homeschooler, I’ve never went to school for teaching. However, I have always had a love for teaching. Certainly, teaching would have been my next go-to career choice. – I have accepted the greatest invitation to become familiar with the Creator of all the universe. Christ has pretty much everything to do with who I am and He infuses every aspect of my life. – When it comes to creating for others, I’m a bit of a perfectionist. I may take a long time to finish a project, but it’s only because I want to do the best work that I possibly can provide. I am grateful for an awesome family of three boys, one girl and an awesome husband who supports me in all my endeavors. 9. Encouragement: It’s hard to believe seven years ago, at the end of 2009, my husband tried to talk me into creating a blog. Since I had zero experience in web development the suggestion sounded out of reach to me. So, I quickly dismissed the idea. Two years later (in 2013), I discovered that creating a website was quite fun to learn. In 2014, I tried out a photo editing software to create baby shower invitations. I had so much fun creating the invitations, my husband suggested that I should create a logo for our local business. I decided to give it a shot. I quickly realized that the software I was using was not sufficient to create a logo. I needed a program for vector art, which would allow me to shrink and expand my graphics without distorting the quality. So, my husband decided that I needed an upgrade. At first, I thought it was a silly investment. It took him quite some convincing to help me justify the cost of a pastime that I was not yet proficient at. He explained to me that the investment would payoff instantly, considering that we would no longer need to outsource our artwork. I happily agreed. He then suggested that I purchase the entire collection, in case I could make use of the other programs. I didn’t think that it was possible for me to learn anymore complexed software, but I didn’t complain since there was no price difference (thanks to an awesome discount for students and teachers)! My husband could see my potential long before I knew it even existed. I could have never imagined dabbling into any of these programs before and he was right: I ended up making use of the entire software collection. Needless to say, I would not have discovered my nerdy, techie geniusness without the support of my wonderful husband. Isn’t he amazing ya’ll? The support of all my family and friends have kept me going, especially through the past couple of months, which leaves me to my last point. something, there will always be obstacles to overcome. For me, these challenges seem to always come while I’m in the middle of some sort of monumental feat. It seems as though these obstacles try to distract and veer me off course. I encountered some challenges while writing this very post. This article was actually scheduled to be posted in October. Instead, life happened. My backup computer crashed, my current computer screen cracked, the whole family came under a month-long virus, and then my second computer died on me, too. These were just some of the minor challenges we were faced with. I’ll spare the details. Yet, in the midst of all the chaos having the right perspective has helped me overcome the adversity. Throughout this post, I’ve mentioned a list of core values: Passion, direction, faith, perseverance, purpose, growth, inspiration, originality, encouragement, and now endurance. All of these virtues became a strong foundation for me to stand firm on. During trying times, I look at these values and remember that whatever it is that I’m going through, it is all laughably temporary. I’m reminded of the bigger picture of my life. Values have determined my perspective of life and my perspective determines my resilience to the difficulties. As you can see, today is a culmination of years of growing, learning, and developing and it has been a wonderful journey. Now, let’s talk about what we can look forward to. A COMMUNITY for all types of educators. 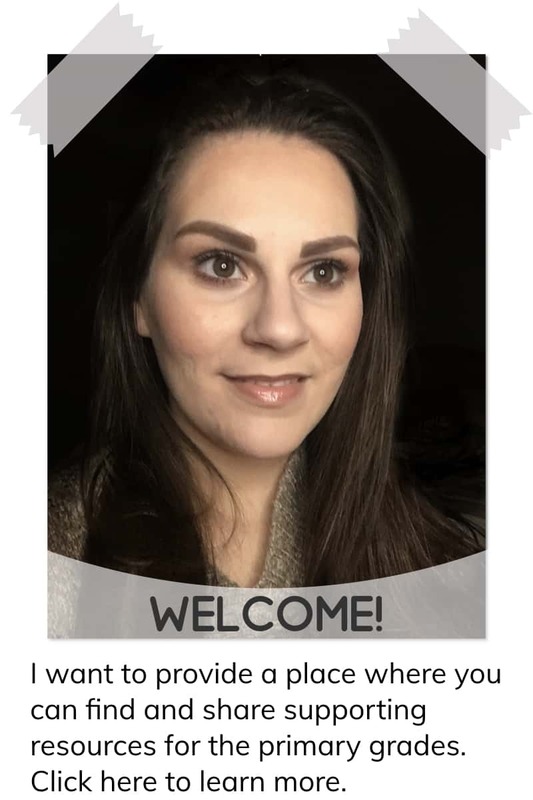 A supportive online group that ENCOURAGES teachers. RESOURCEFUL to parents/guardians who would like to be more involved in their children’s education. INFORMATIVE for those who want to learn more, those that are curious, or for those that are thinking about teaching. SHARE great ideas and fun activities to enjoy in the classroom or at home. A shop that offers QUALITY resources. INSPIRE educators to be edupreneurs. Now, I’d like to hear from you. 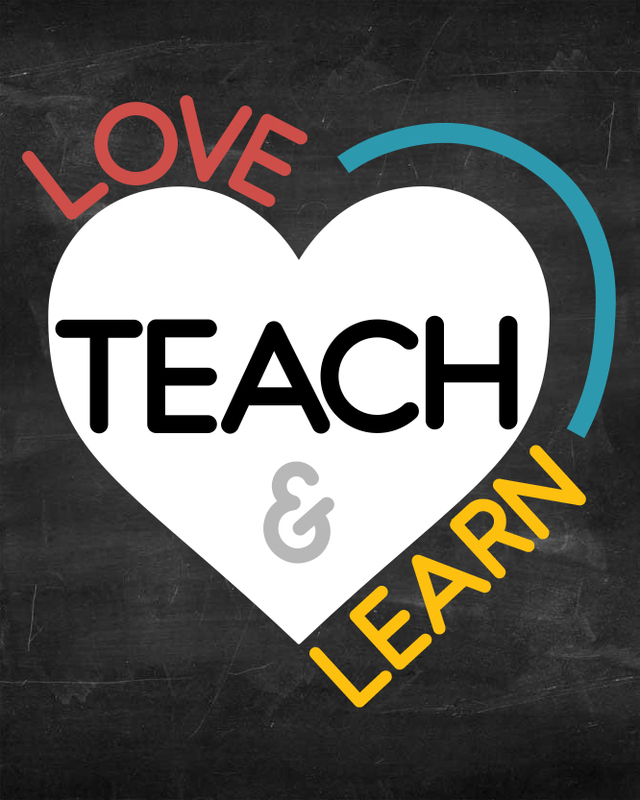 So, what would you be interested in seeing here at Love, Teach, and Learn? I’d love to hear your amazing suggestions of what you’ve been searching for in a community for educators. Maybe you have a spectacular solution that you’d like to contribute? Please, share your ideas and interests in the comments below.